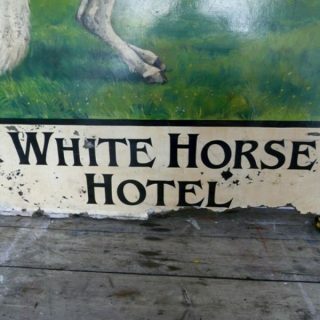 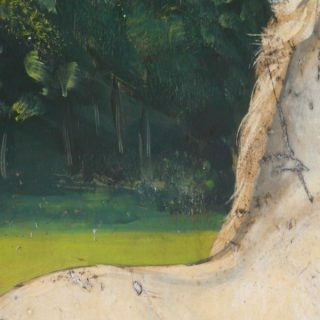 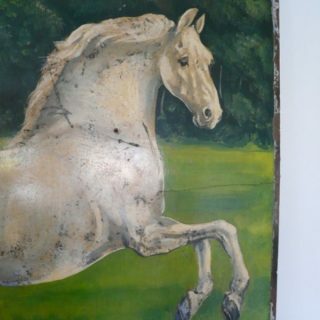 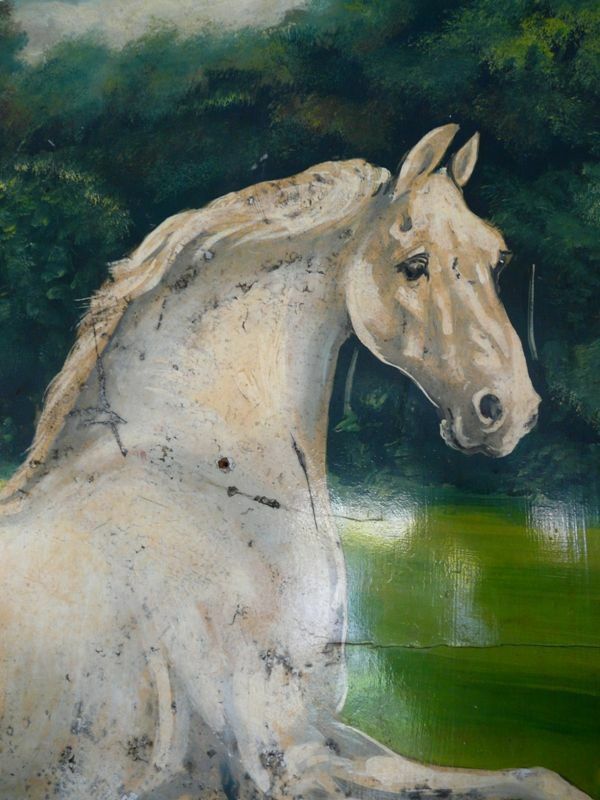 A wonderful large oil on board of a white horse advertising the white horse hotel, circa 1940. 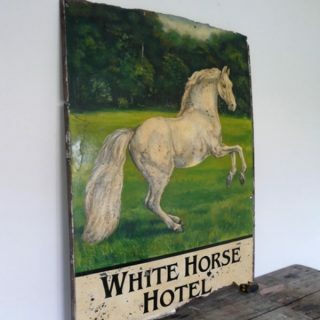 Very nicely painted with great detailing, and with just the right amount of wear, giving it lots of character and decorative appeal. 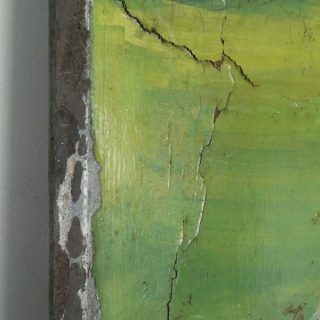 Some losses along the edges of the board.